Velagapudi Ramakrishna Siddhartha Engineering College, [VRSEC] Vijayawada was established to provide technical manpower initially in the fields of Civil, Electronics and Communication Engineering, Electrical Engineering, and Mechanical Engineering. 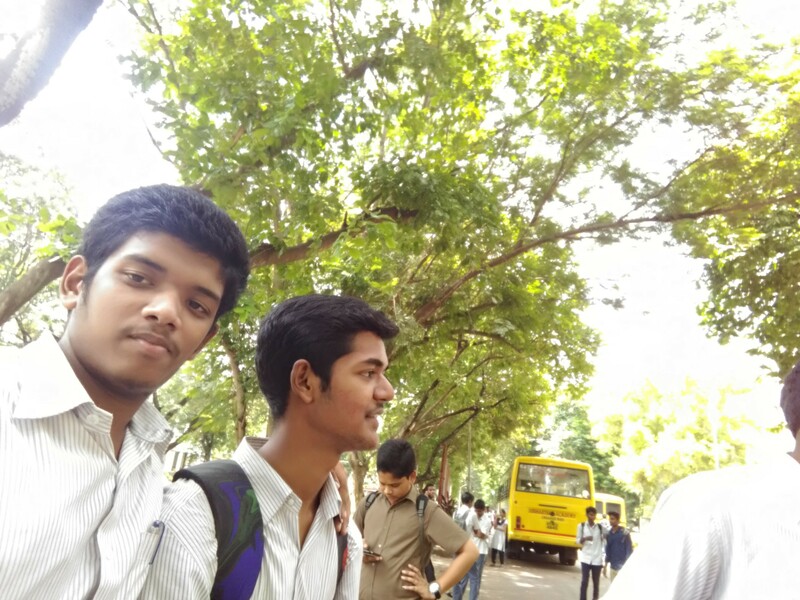 VRSEC has well-qualified faculties. 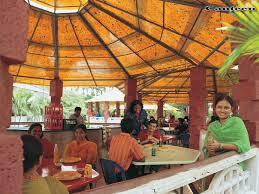 The college has good placements where around 650 students get placed every year. 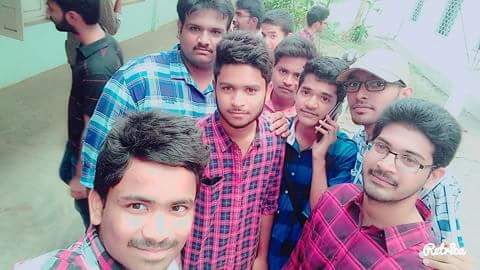 INR 102000 rupees is our present college fee. 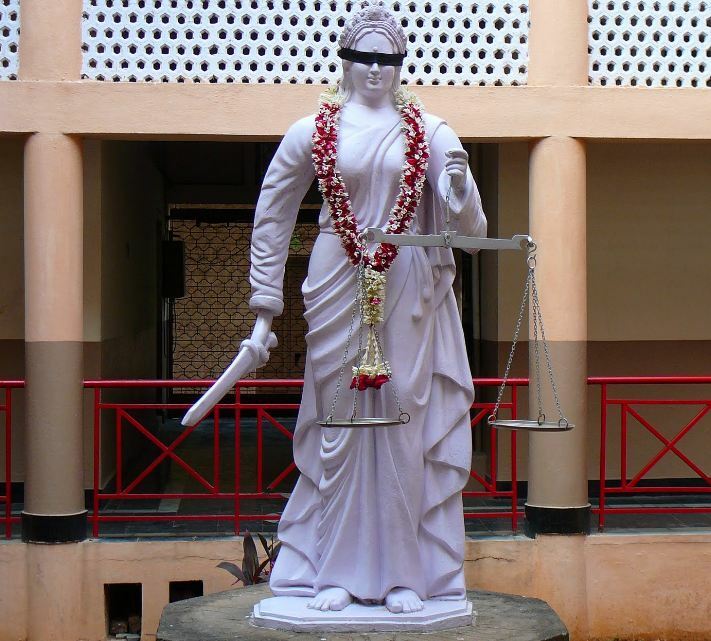 Through EAMCET reservation categories can get full fee reimbursement so that they don't have to pay anything and 30 % of the people are through the reservation. 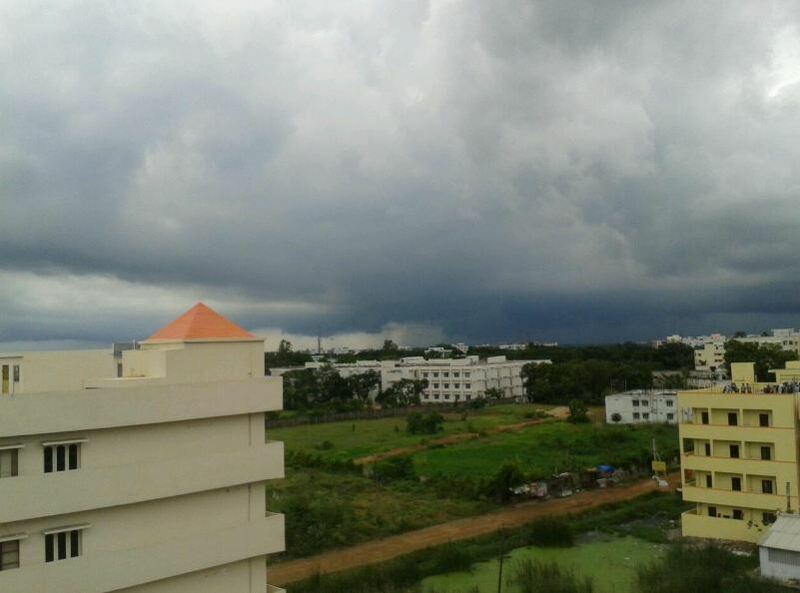 Course fee is Rs.1 lakh per year. Many gets a schorlarship each year at VRSEC. 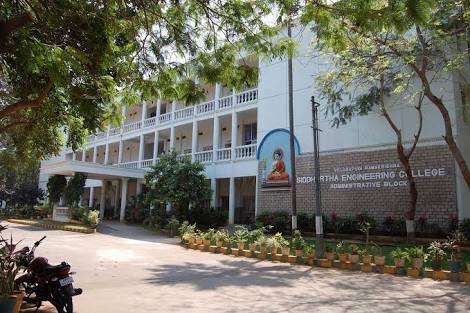 The college sponsored by Siddhartha Academy of General and Technical Education was established in 1977 as the 1st private self financing engineering college in the state of Andhra Pradesh. 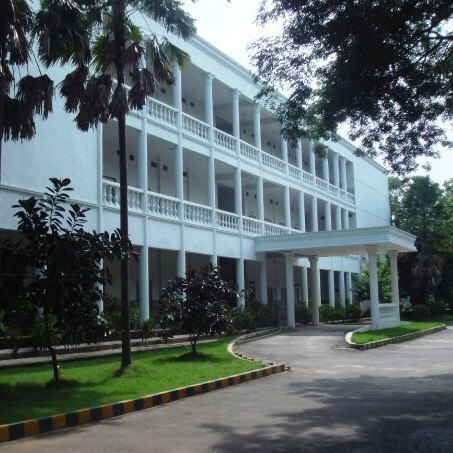 The academy cited is a registered society consisting of 250 philanthropists hailing from various professions, namely Doctors, Charted Accountants, Engineers, etc The college commenced its operations with an annual intake of 180 into 4 branches of engineering (Civil Engineering, Electronics & Communication Engineering, Electrical & Electronics Engineering & Mechanical Engineering) and the institution has been growing from strength to strength. 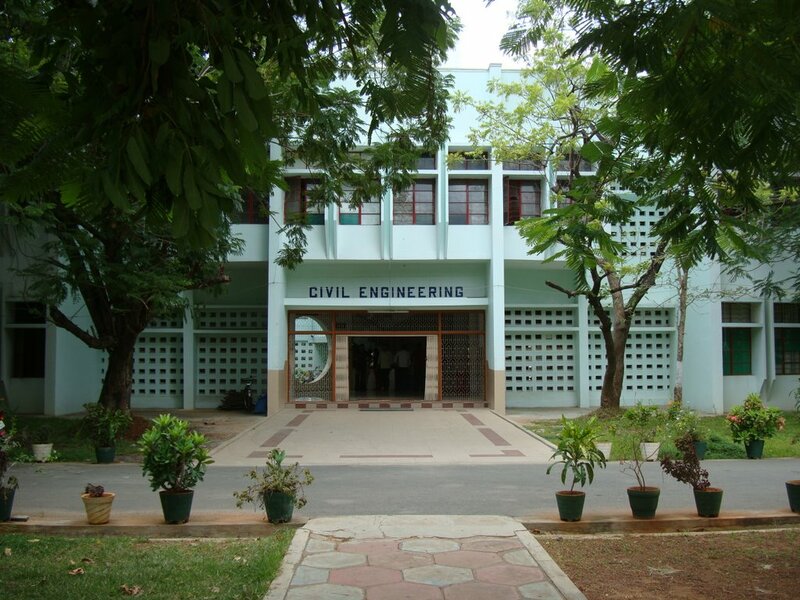 The college was established for providing technical manpower initially in the fields of Civil, Electronics and Communication Engineering, Electrical Engineering, and Mechanical Engineering. 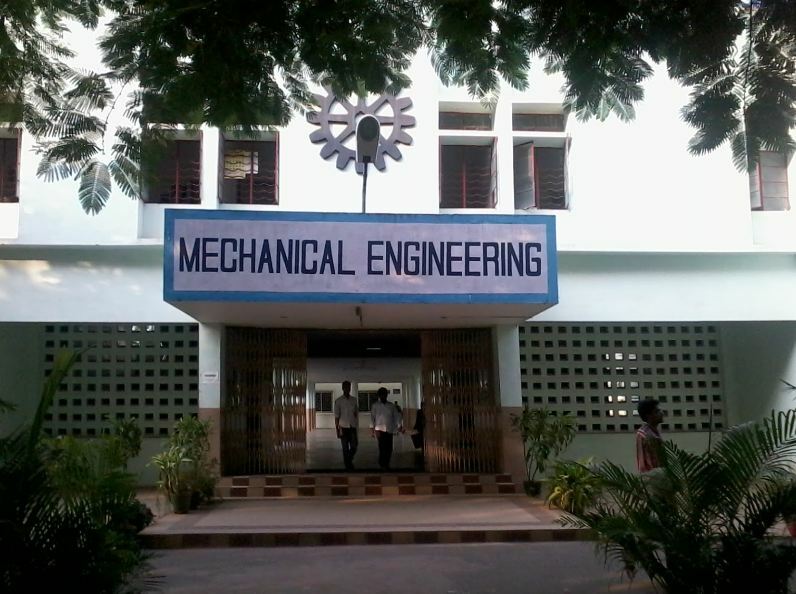 Since then the college has continuously evolved itself to meet the changes in the field of Engineering. 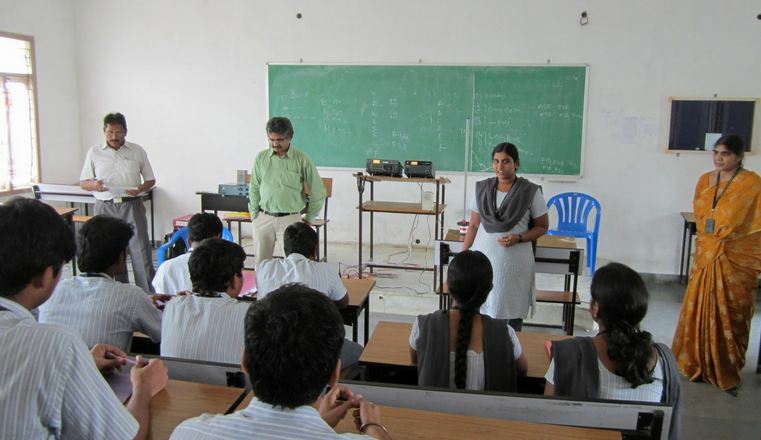 Undergraduate Courses in Computer Science and Engineering, Information Technology and Electronics and Instrumentation Engineering besides eight postgraduate courses in the fields of Structural Engineering, CAD/CAM, Thermal Engineering, Signal Processing, Telematics, Computer Science and Engineering, Computer Science & Technology and Power Electronics have been introduced. 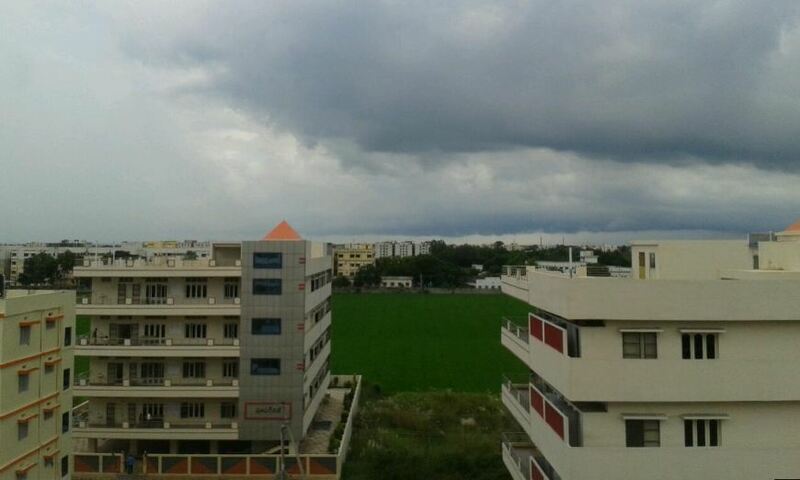 The College has about 4000 students, more than 250 faculties and around 200 technical and supporting staff. 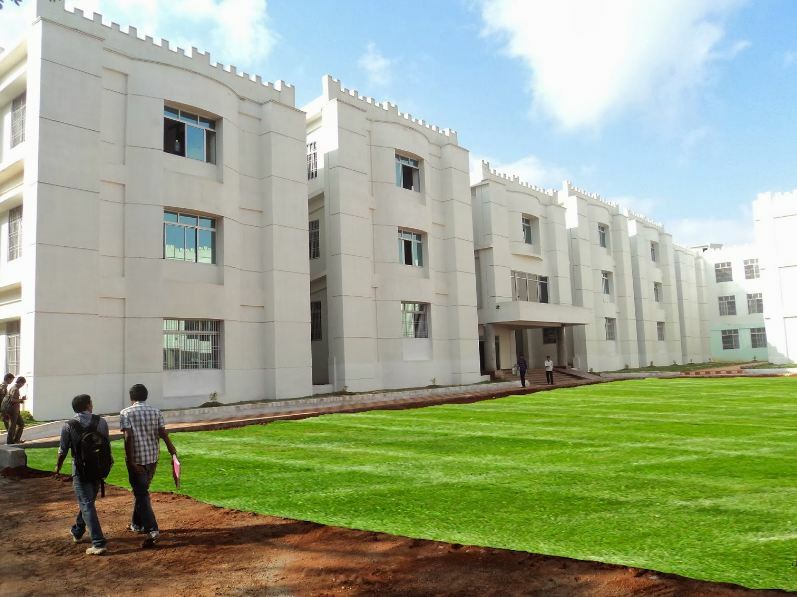 The hallmark of the campus is the good facilities which cater to the academic and extracurricular interests of the students. 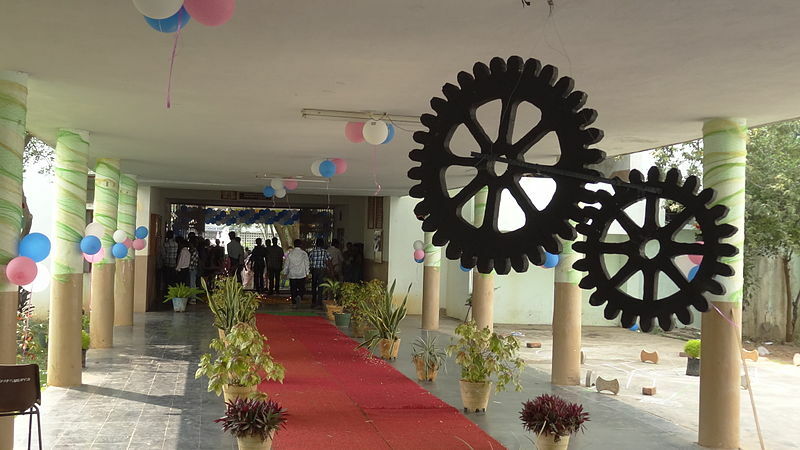 The campus provides ample opportunities for developing extra curricular skills which include NCC, NSS, Students Chapters of IEEE, social clubs and sports & games. 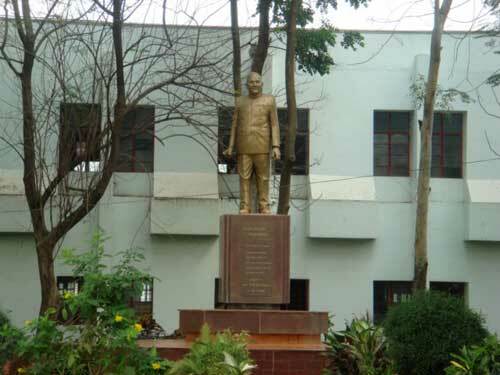 The Alumni of this institution have excelled in various spheres and are positioned very well globally in a number of leading Government, Public Sector & Private Organizations. 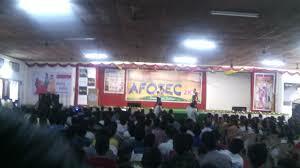 VRSEC hosts intercollegiate fest namely Technofest (Technical and Cultural) event annually. 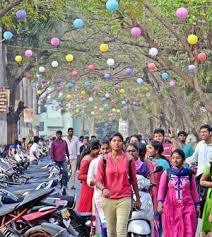 These fests draw students from many of the colleges of South India. 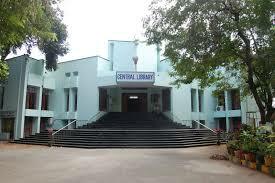 The college was granted Autonomous status by UGC in the year 2006. 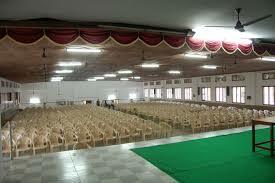 The college is affiliated to Jawaharlal Nehru Technological University, Kakinada, Andhra Pradesh. 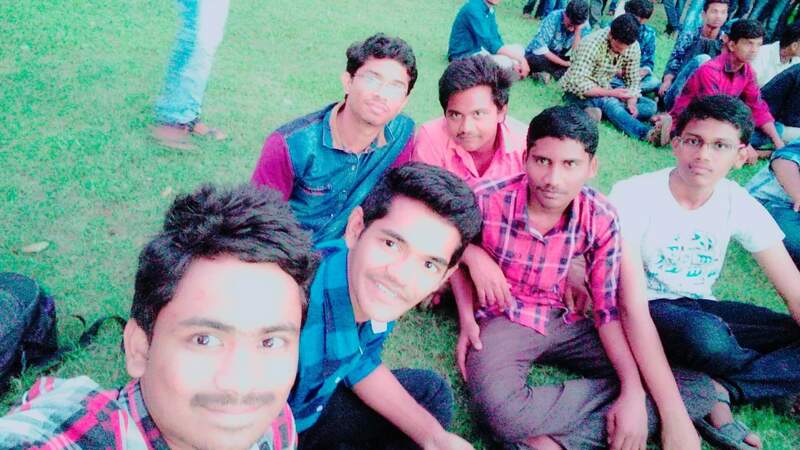 Fee details for EEE Group ? 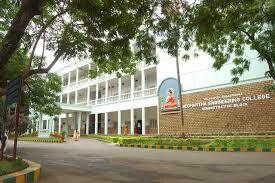 What's the fee structure for M.Tech in Velagapudi Ramakrishna Siddhartha Engineering College, [VRSEC] Vijayawada? 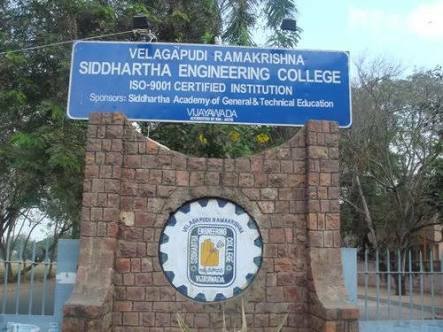 Whta is the fee structure for B.Tech (CSE) in Velagapudi Ramakrishna Siddhartha Engineering College, [VRSEC] Vijayawada? 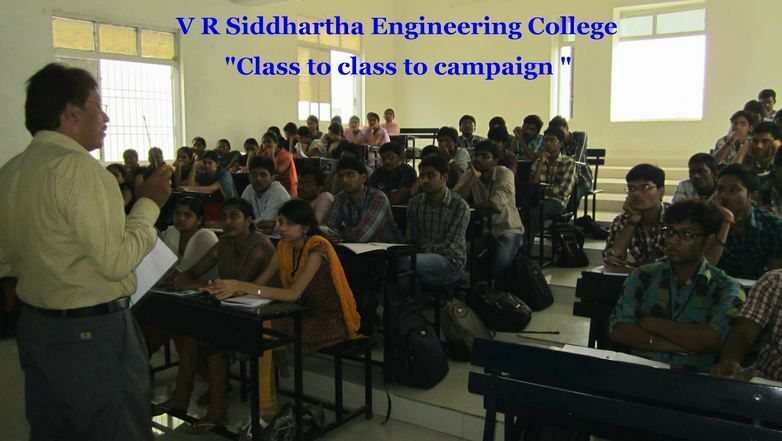 What is the fee structure for B.Tech in Velagapudi Ramakrishna Siddhartha Engineering College, [VRSEC] Vijayawada ? 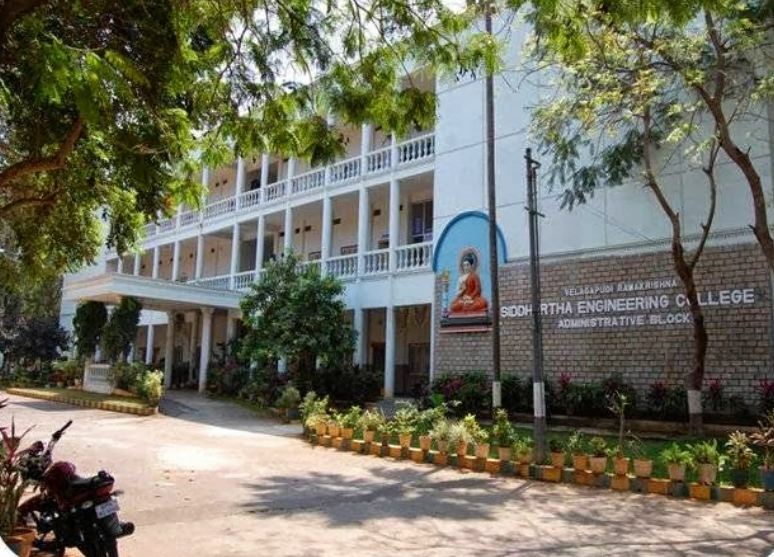 What is the fee structure for B.Tech(Electronics and Communication) in Velagapudi Ramakrishna Siddhartha Engineering College, [VRSEC] Vijayawada ?